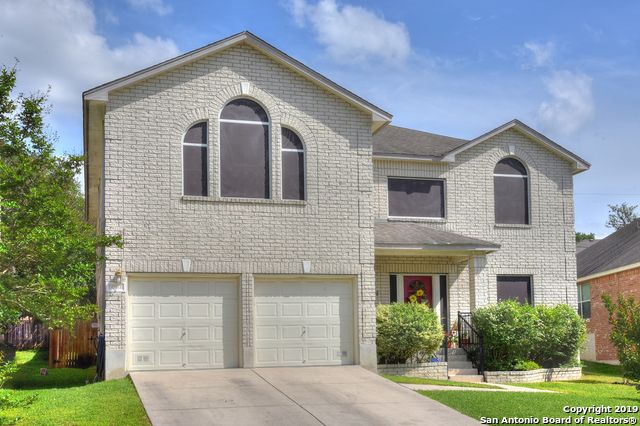 All CHURCHILL ESTATES homes currently listed for sale in San Antonio as of 04/24/2019 are shown below. You can change the search criteria at any time by pressing the 'Change Search' button below. "Contemporary Custom Home with sleek modern design features. 4 Bdr, 3 full Bath, 3258 Sq. FT. (4th Bdr can be spacious 20' x 19' Game Room). Walls of windows provide super natural light to accentuate the Open Floor Plan & high ceilings. Quartz Counters in Kitchen & all Baths. Upstairs Loft with Downtown Tower View perfect for Office or Exercise Space. 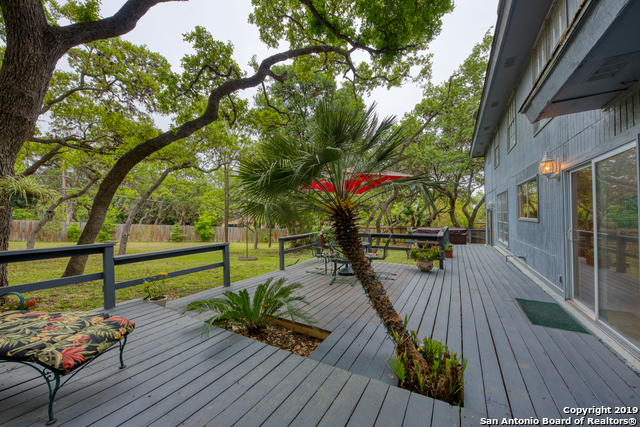 Unbeatable Location with quick & easy access to Loop 1604 & IH-10. Close to USAA, Valero, UTSA, La Cantera & The Rim Shopping. Excellent Northeast "
"Newly staged to give vision to your dream home! This gated Churchill Estates home offers an open floorplan with the master down. Roof replaced 2016. Kitchen has Double Oven and Stainless Steel Appliances. Dining room welcomes with beautiful etched glass doors. Upstairs you have 4 bedrooms, 2 bathrooms, one a Jack & Jill, a 2nd living area and a center loft. Backyard deck recently resealed and yard has a Sprinkler System & walking path to behind fence to Hardberger Park. 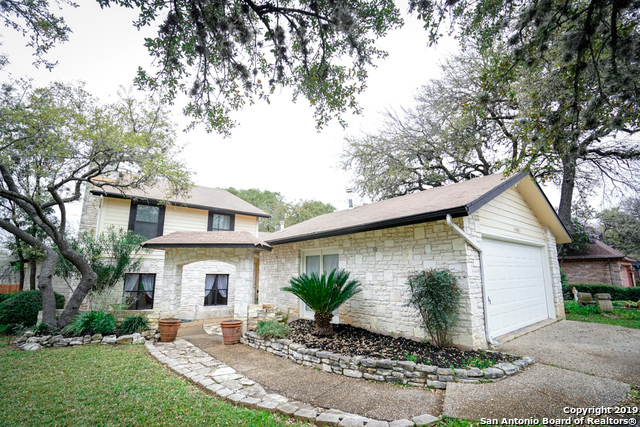 Near 1604, 281, & Wurzba"
"Wonderful family home on Approx. 1/4 acre level lot! Beautifully maintained with Huge oak trees and private back yard! 4 bdrms. 3 full baths. 3 bedrooms up including master and secondary bedroom(mother in law suite) downstairs with full bath. 3000 sq. ft. with Dual A/C units & Dual water heaters. 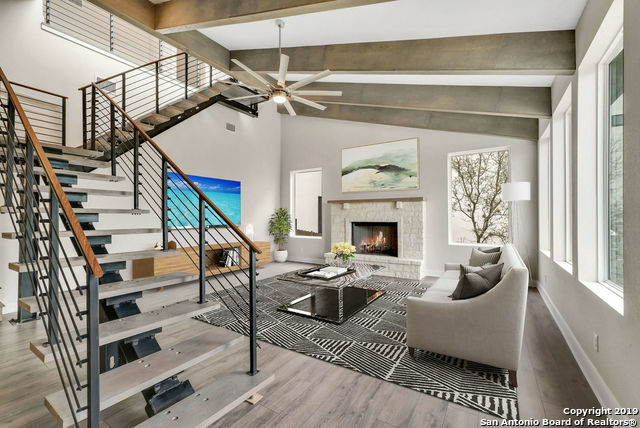 Features include Hard wood Bamboo and tile floors, Granite counter tops w/island and breakfast bar, Fireplace, Huge Master bedroom with high ceilings, Master bath w/sep. shower/jetted garden tub. HOA-Po"
"Large private backyard oasis w/huge deck & brand new $12K hot tub/spa awaits you on a cul-de-sac in coveted Churchill Estates. Don't miss this very well maintained colonial w/beautiful entry & grand living room w/gas fireplace & gorgeous mirror. The comfortable eat-in kitchen features SS double ovens & vent hood (installed 2018) has great view & access to the back yard. 30 yr roof Installed 12/15. This charmer features large bedrooms, study, custom paint in some baths, tile downstairs & wood fl"
"Beautiful home in gated section of Churchill Estates! Home features a large island kitchen that is open to the family room & has a breakfast bar area & walk in pantry! 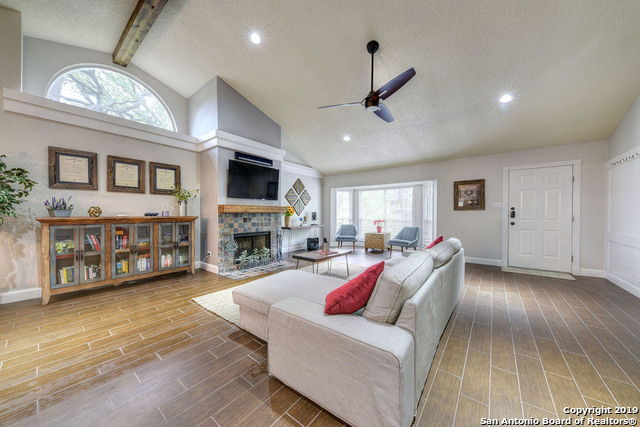 Family room has high ceilings & a fireplace! Gorgeous wood laminate floors in family room & formal dining area! The master bedroom is split & downstairs & master bath has a separate tub & shower & dual vanities! Media room upstairs with a wet bar area & projector, screen & 4 recliner chairs stay! Home is in excellent conditi"
"Good design is timeless. 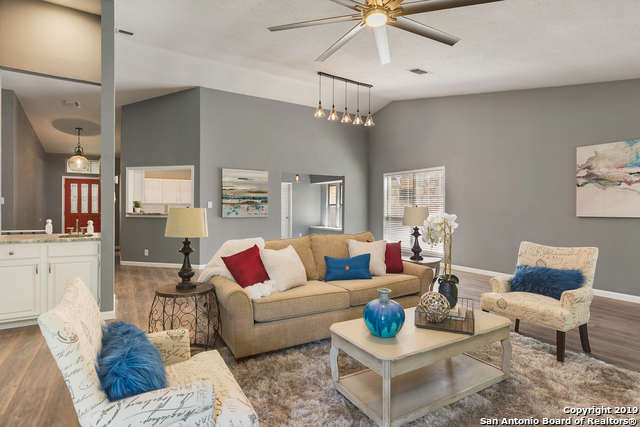 The generous proportions of this open layout signal the best kind of entertaining, yet all in a more compact footprint where convenience is key. Master suite includes oversize walk in closet with sleekly modern en suite bath featuring walk in shower with rain shower head. Ingenious island kitchen presents both stainless & granite with still more than enough space to remain the heart of the home. Heavily canopied lot encompasses surprising privacy & enjoyment of year-roun"
"BEAUTIFUL 1 STORY HOME HAS BEEN COMPLETELY RENOVATED INSIDE AND OUT! FROM A FULL EXTERIOR/INTERIOR PAINT JOB, TO A MODERN TOUCH DESIGN THROUGHOUT THE HOME. THIS 3 BEDROOM 2 FULL BATH HOME ALSO OFFERS A RECENTLY INSTALLED HVAC SYSTEM IN 2019." "Beautiful three bedroom plus study single story home. Updated 2016! Interior paint, lighting, flooring, bathroom sinks, ceiling fans. Tile is though out. Whirlpool tub plus shower in master bedroom! Open kitchen with granite breakfast bar! 2nd Living room and Formal Dining room! Fall in love with the separate Master Bedroom with xtra large closet. Perfect location with deck and large back yard that backs to park! Perfect access for walks and riding bikes. Super clean with NO carpet"
"Gorgeous Home in highly sought after Churchill Estates! Corner Lot, new roof, recent HVAC, fresh paint inside and out! 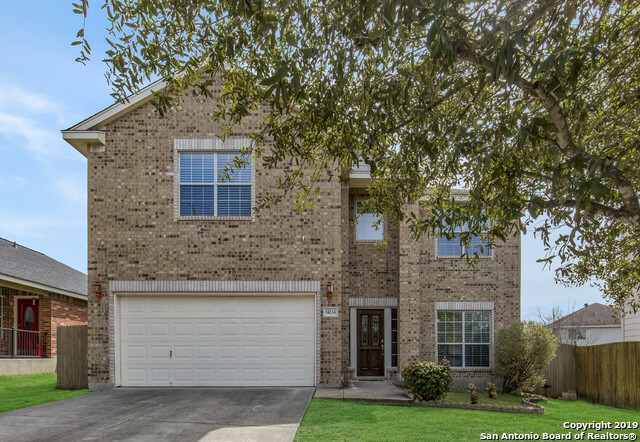 NEISD top rated schools, quick access to 1604, airport, 281 and I-10. HUGE master bathroom and walk in closet, two living areas, upstairs entertainment area can also be used as a 5th bedroom or office. Priced to be a tremendous value for its newest owner, schedule an appointment to see this today!" "What a home! 5 bedroom, in super desirable Churchill Estates Gated section, backed to a green space beyond the huge backyard! Open floorplan, with island kitchen, and solid countertops. 2 living areas down. Family room has a fireplace for those cozy evenings. Stained concrete down, and laminate on stairs and passageways. Upstairs 5th bedroom could be game area. Huge master up, with private bath and walk in closet. Storage shed remains, sprinkler system, mature trees. 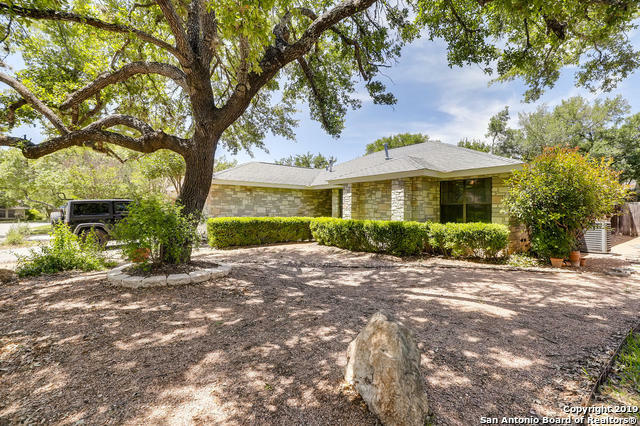 Walk trails to Salado"
"Attractive brick home with mature landscaping. Interior features four bedrooms, three full baths, an island kitchen, formal dining and a cozy fireplace in the living room. Master bath has separate shower and tub. Oversized concrete patio is great for outdoor entertaining and BBQ's." "Amazingly well kept and UPDATED One Story Home welcomes you with inviting front porch. Move-in ready home awaits you in established gated community of Churchill Estates *NO CARPET* Gorgeous WOOD FLOORS with open floorplan and wood burning fireplace. Split master bedroom with tall windows overlooking backyard. 4th bedroom can be used as study. Original owner - pride of ownership shows. Updated kitchen with lots of counterspace. Highly desirable and centrally located neighborhood full of amenities"
"Very desirable location with beautiful mature trees. 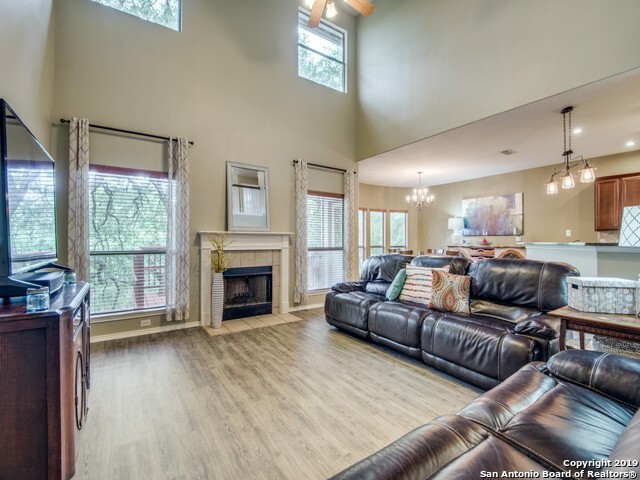 Great floor plan with split master, high ceilings, gas igniter fireplace in family room, beautiful hardwood floors and a stunning xeriscaped backyard." "Great 1,800 sq ft home with 3 bed and 2 bathrooms in a beautiful gated community. 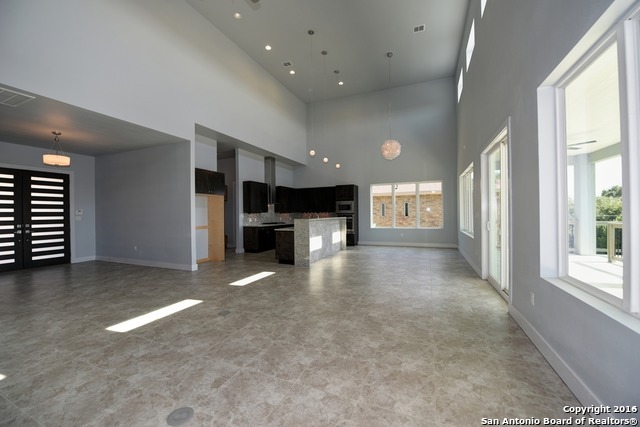 This home has a great open floor plan with recently installed hardwood floors. Gas burning fire place, breakfast bar and spacious back patio are just some of what this home has to offer. Come see this home today!"